Caring for French Bulldogs is fairly easy. Frenchies are great house pets and should be kept indoors during hot or cold weather. If the weather is mild, then they can be let outdoors in a fenced area only. Never let a frenchie run free! If you have a pool, fence it off. Most French Bulldogs cannot swim. Buy them a life jacket. Please!!!!! How to care for your puppy when meal time comes: We feed Grandma Lucy’s dehydrated as it has never been recalled. We also feed Fromm and Merrick small kibble. Please read labels and check this site for recalled food. Limit the amount of exercise. Because of their pug faces, they can and will overheat. If this happens, use a cold cloth and hold on their paws one at a time and then their bellies and head. Cool them down slowly. I’ve only had to do this once. Anna loves to chase a dog that we rescued. I now know to limit the time she does this. They are not overly active except in spurts. They spend most of their time loving on you or chewing hard bones. OK…they nap a lot too. These dogs are perfect for apartments or condos. Grooming is easy also. Do not bathe more than once a week if possible. Less is better. I trim toenails every 2 weeks (can be done weekly to make the quick shorten). I use a battery powered Dremel on the lowest speed. They usually nap while this is being done. I have a mitt that I brush them with almost daily. One side has a special cloth that removes excess hair. Pet stores carry these. I also use an organic shampoo that is very mild or Aveeno baby wash oatmeal fragrance-free (dark blue cap). I never get their heads wet. I clean their heads and face with a wash cloth. Make sure you clean those lovely wrinkles daily if possible. I use a cotton ball with either Witch Hazel or Peroxide. Dry well with a soft cloth when you are done. I clean their ears every 2 weeks also. I use a product that my vet gave me. DO NOT get water in their ears. Over cleaning will cause problems too. Keep their ears dry by putting cotton balls in them when bathing and you will be fine. I crate trained mine and I suggest it because it makes house-breaking easier. Also, if there is ever a need for them to be confined, they won’t be upset and stressed over it. I like to be prepared for anything. Life happens! sigh… We let 3 dogs at a time sleep with us. Crates serve a purpose though, so I suggest people training pups to be comfy with them. Week 1: I am sleeping, eating and snuggling with Mom. What more could a newborn ask for? I’m full, warm, clean and loved by all! Week 2: I’m so fat! All I can do is move like a baby seal…and I look like one too. My 1st photo shoot happens this week …sigh. Also, my eyes are opening and what a world. At least I can see where I’m going…sort of. My mom is really keeping me all clean and oh so cute. This is optional but you can send me a puppy blanket and a pillow case or t-shirt with your scent on it. This will help me get use to you before we meet. Something you have slept with or a t-shirt you have worked out in works well too. Be sure to send the item in a zip-lock bag. Having your scent with me will help me to know you before we meet…and I will bond with you even quicker! Week 5: I’m doing lots of playing and socializing right now. I get to go outside if it is nice and play in my playpen. Outside is so interesting and fun! I’m learning to use wee wee pads too. You are welcome to come meet me anytime you want. I’d love to show you my room and my toys. You can meet my Mommy, Daddy and mom Nancy too! Week 6: I get my 1st real BATH this week. My potty training is coming along. I’m doing my best but sometimes I make a mistake. I’m eating softened kibble too. Mom Nancy feeds me Fromm Gold Puppy kibble. I love it! She order’s it from Chewy’s.com. Week 7: I’m learning to walk in a harness with a leash. Mom Nancy says I’m such a smart puppy. I think so too. Week 8: I might be ready to come home now. Have you read all of the “Caring for Frenchies” page? Are you ready for me? Have you PUPPY PROOFED the house? Is my bed and play area all ready? Do you have Nylabone and or Donkey Kong toys for me??? I can’t have rawhide. I might choke on it. MOST important…do you have my food? Mom Nancy gives you some when you come to get me. She knows how I love to eat. My Mom Nancy may decide that I need to stay with my Mom a little longer. I might not weigh enough or might need a little more time perfecting my eating habits. Personally, I think Mom Nancy just doesn’t want to see me leave. She loves me sooooo much. I am looking forward to coming home with you tho! Frenchies are expensive to breed and raise period! 1.) The vast majority cannot breed on their own. Stud fees run from $500 to $2500 and they have to be artificially inseminated ($150 per at 4 to 5 times). This brings on more expense as the female will under go tests to find out when she is ovulating. This can cost up to $750.00 depending on how many blood tests are taken. IF she takes and carries the pups to full term, then a c-section ($800.00) is scheduled. She cannot deliver naturally. If the pups are taken too soon, they will not be fully developed and will die. The mother will also not come in with milk which is vital to their health. If taken too late, they will detach from the placenta and suffocate or get stuck in the birth canal…leading to their death and sometimes the death of their mother. If everything, goes as planned, you still can end up with complications leading to bottle feeding and cleaning their private parts in order for them to urinate and pass stools. The average litter size is 3 puppies. Genomics is the subset of genetics having application for recombinant DNA, sequencing and assembly methods. It involves discovery based research to understand the complex biological systems of the human body. This field involves the efforts to study DNA sequencing and in-depth genetic mapping. It also includes the studies of several phenomenon and interaction within the genome. The research of single genes doesn’t include in the genomics unless it has the aim for having effect in genetics in any way. It is the study of the complete set of epigenetic modifications on the genetic material of the cell. These are reversible effects on DNA without changing the DNA sequence in any way. Epigenetic modifications play an integral role in expression and regulation of the genes and have involvement in numerous processes linked with development and differentiation of processes. It is involves the study of meta-genomes, which is a genetic material recovered from the environmental samples. It has the involvement with eco-genomics, community and environment. It offers the powerful way of viewing the microbial world having the capability to revolutionize the entire living world. A Faraday Partnership helps in promotion of improved interactive sessions between the UK Science, engineering and technology based program with the aim of process innovation. It brings all the researchers and scientists together for involvement of organizations, societies and government agencies. Faraday Partnerships give strength to the technological derivations and new product developments. The active players progress under the common sector theme and technology with some pre-defined common targets and working methods. It makes the innovation for effective use of resources with sectional and self-interested group. Faraday partnerships have key importance to the industrial progress of the UK. Generic activities: Research programs are conducted on regular basis to administer the results. There are many submissions done for producing technology based reports each year. Workshops are held every year for providing a common platform to the experts for presenting information to the community. Pro-bio also interacts with the external organizations and hold joint events for getting assistance on the joint programs. There are technology roadmaps made for the strategic advancements. The main aim of the European Science Foundation program was to enhance the development of functional genomics R & D in Europe. The program was designed in the way to bring a wide range of functional genomics researchers and get advantage of novel technologies and information with integrated approach. The program was made to share the information and knowledge with the like minded unique scientist like people of all the ages. There was pan-European approach made for researching through the programs and make collaboration with participating nations. click here for more details. There are training courses, workshops, grant exchanges and lecture courses designed for short term inter-lab visits. The website is set up for coordination of events and use of resources in the field of international functional genomics. In virtual sense, every medical ailment has some or the other linkage with our genes. Earlier, doctors were able to study about genetics only to check the birth defects or a few diseases. These conditions were predictable with inheritance patterns as it is caused by variations of a single gene. DNA research is very common among scientists and clinicians and there are many powerful tools designed to study the impact of genes on different bodies. Environment plays an important and complex role in DNA research and finding cure to problems related to many diseases, such as diabetes, cancer, heart diseases and many other issues. Genome research has been helpful in making the medical researchers develop the improved ways of diagnosing and finding therapeutic strategies for any medical issues. It can also enable them to take better decision for providers and patients. The solutions to problems are tailored according to the genomic makeover of the patients. The role of genetics in healthcare is vast and it even sets up examples for the next generations to proceed in the appropriate way. click here for more details. Genome is the name given to the whole set of DNA in any organism. There is complete copy of DNA pairs included with 3 billion DNA base pairs included in the human genome. 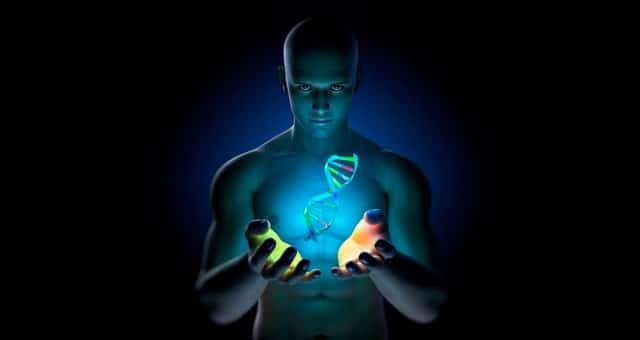 DNA consists of the information of the entire body of human being. It carries the instructions for making the required protein or the whole set of proteins. There are about 20K-25K genes in a body for an average of three proteins. Genes reside on the 23 chromosome pairs packed into the nucleus of the human cell. They direct the protein production with the help of messenger molecules and enzymes in the body. The information is copied in the DNA molecule termed as Messenger Ribonucleic Acid (mRNA). Ribosome is the tiny molecular machine helping in linkage of molecules together called amino acids. The proteins are formed by linking together these amino acids in appropriate order. click here for more details. Proteins can control chemical reactions and carry the signals between the cells. In case of mutation of DNA, an abnormal protein is produced, which interrupts with the daily processes and leads to cancerous diseases in the body. In the common forms of sequencing; called sequencing by synthesis; DNA polymerase is used for generation of new DNA strand from the strand of interest. The reaction of sequencing involves enzymes turning into new DNA strand nucleotides, which have been tagged chemically with fluorescent labeling. This process makes the nucleotide excited by the light source and the emission of fluorescent signal. This method can generate reading for 125 nucleotides in a row; which means billions of reads at one time. The assembly of sequence of the bases requires reading for the sequence of overlapping segments. It makes the longer sequences to be generated from the short pieces; similar to putting together the jigsaw puzzle. This process requires reading of base several times for assuring accurate results. Researchers make use of DNA sequencing to search for variations in genes and mutations; which play an essential role in the progression or development of a disease. The dog specially french bulldogs has emerged as a premier species for the study of morphology, behavior, and disease.